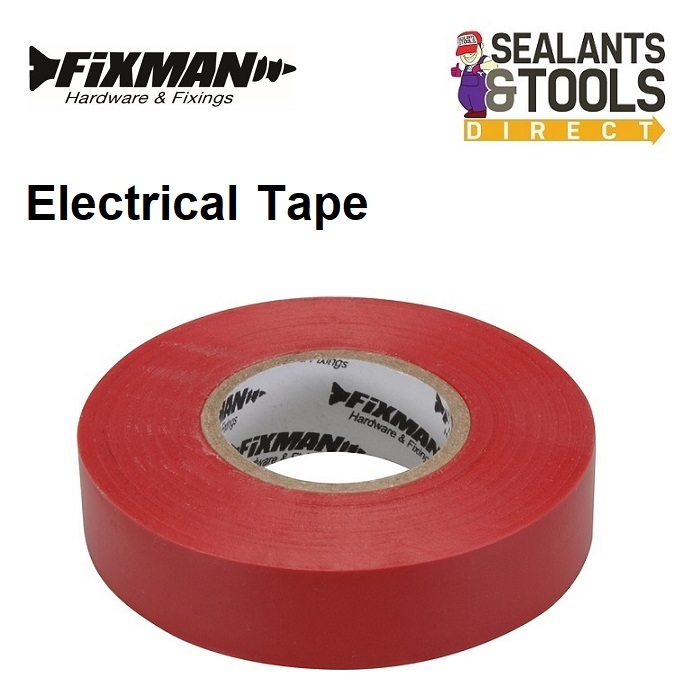 Fixman UK Electrical insulation tape is an easy to unwind PVC electrical tape for providing insulation for most electrical wires. Electrical insulation tape in a range of fade-resistant colours. Rubber glue on PVC carrier with good elasticity and elongation properties allowing conformity to irregular surfaces. Provides moisture-tight electrical and mechanical protection with minimum bulk. Manufactured to BS3924. 130mic peel adhesion = 2.0N/25mm.